A picturesque 18th century village on the banks of the Beaulieu River in the heart of the New Forest. Historically, it is famed as the place where some of the ships of Nelson's fleet were built, you will find the peaceful haven of Bucklers Hard. The Maritime Museum and Bucklers Hard Story give an insight into the history of the village whilst a trip on the river or a walk beside the riverbank provides an opportunity to see some of its abundant wildlife. 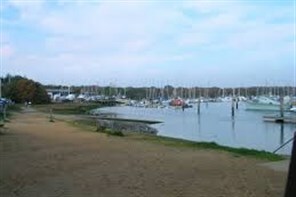 It is located within easy reach of the popular tourist destinations of Bournemouth, Southampton and Winchester. This 30 minute tranquil cruise wends its way along the River with a commentary revealing the history of the Beaulieu River and the abundant wildlife that inhabits its riverbanks.